Ice fishing? Remember, there is no such thing as safe ice! Ice is tricky. 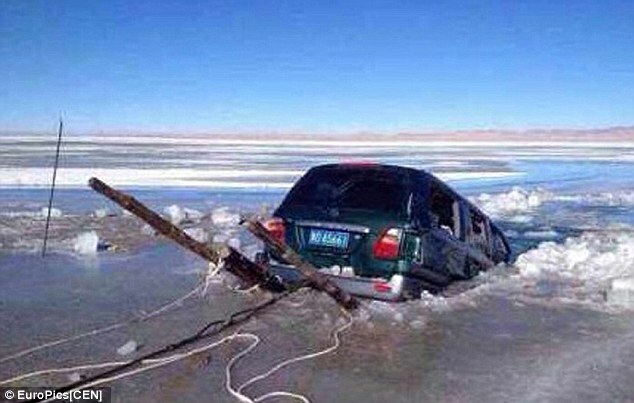 Just because a lake or stream is frozen doesn't mean that the ice is safe. Ice fishing requires at least four inches of clear, solid ice and a snowmobile five inches. Cars and light trucks require 10-12-inches in ice thickness. (Please forward this message to those Lake Geneva folks) Also, never park near cracks or pressure ridges. KNOW HOW TO HANDLE AN EMERGENCY. Should the ice begin to crack, run like mad!